Super Specimen is a daughter out of "Lancaster" and "Maple Brook Zulu". We selected Zulu from the Hanover Stock Farm dispersal. 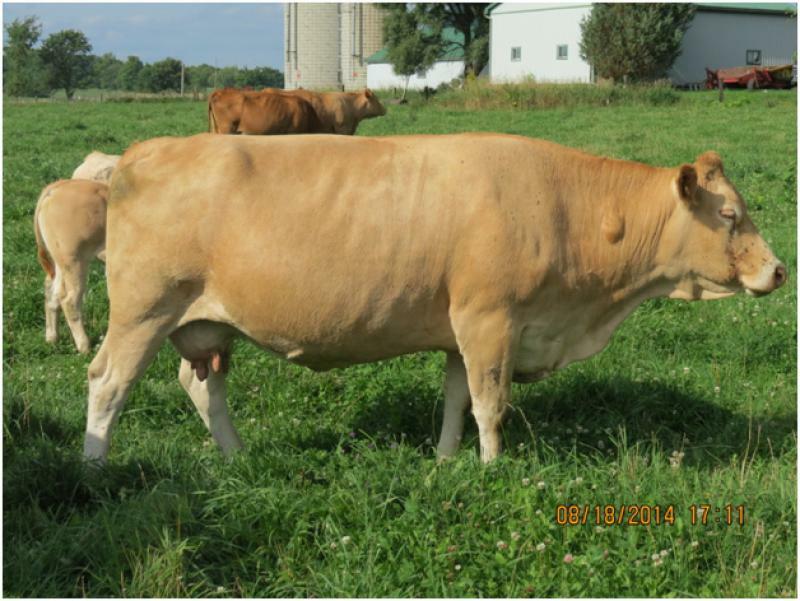 We knew that growth would be an inherited trait as Zulu's 2000 bull calf was the Top Performance Bull in Ontario. We hope that 670S also follows Zulu's longevity as she lived to be 20 years old.